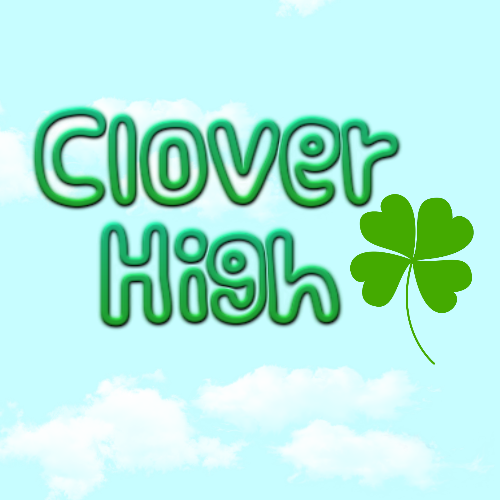 This is the official audition page for the Minecraft role-play series "Clover High". Basic Information: Clover high is a role-play series that follows the life of Bella Bernae and all those around her. This is an ongoing project which does not have a fixed ending point. 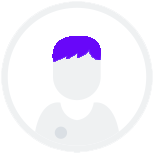 If you are looking to get more information on the project please refer to the pilot in which characters are introduced if you haven't already. *Can be any age, as long as you fit the character. *You can audition for as many roles as you wish. More Information will be given if chosen for the audition. Thank you to all who take the time to audition. Raven is quick-witted, can be a bit unwelcoming at first or even hard to approach, but once you get to know her she's got a soft side. She is also a very talented artist who enjoy's anime. For style she has adopted a tomboy look. "I always wonder do you wake up everyday and think; how can I annoy Raven even more than yesterday"
"I'm not excited ok, I'm just...uh...ok you got me, this is amazing"
Caroline is a real heartbreaker, she's team captain of the cheer squad and still has time to get great grades. Caroline is sweet and caring, she's always welcomes everyone with open arms. Caroline can be blunt at times, and she always brings a positive point of view to the table. For style she loves all things pastel. "Well I signed us all up anyways, and I know what you're gonna say just give this a try I promise you guys won't regret it"
"I'm sorry, but this most definitely not a good idea, and this is coming from a girl who's lost 4 times"
Aidan has an amazing sense of humour, he's most definitely the life of the party. He's apart of the school's basketball team, he's one of the best players. Aidan can also be a bit of a flirt which doesn't always go so great. He's always looking out for his friends. "Dad its not that your jokes aren't funny, in fact at times your jokes are so funny I forget to laugh"
"I'm trying really hard not to take sides right now, but you're making it impossible"
Carter is most girl's dream, he's team captain of the basketball team and he's also a junior. Carter isn''t just phenomenal in sports, but he also excels in academics. Carter is known to be the prince charming of Clover High. He's kind and considerate, but Carter has problems at home; his relationship with his dad, dealing with the death of his mother. "You know I didn't mean it like that, I'm just confused ok"
"You're good, actually you're great I never really underestimate people, but I definitely did underestimate you and I'm sorry"
Jeremy is Bella's older brother, he's also the middle child. Jeremy is a very talented musician specifically guitarist. He comes of as bit shy when it comes to new people, but he opens up when he finds a group of people with similar interests. Jeremy always looks out for family and friends. "She...uh didn't mean that, I have to think about it"
"Oh cheer up, at least people haven't started with the Lexi question"
Lexi is Bella's older sister and the eldest child, she is a social butterfly and fits in anywhere with no problems. She's sassy, but she's always full of pleasant surprises and your sure to have fun with her. She's also a bit of a player. "Bella, Hey!, come sit with over here, I know you want to"
"You didn't think I was an open book, did you?" She's self explanatory, but she's got factors to her such as being crazy overprotective with her youngest. "You can't possibly expect me to let you go"
"I am most definitely not a fun killer, you kids get me?" There are more characters coming and I also need voices for minor roles, so these are random lines to see how you sound, you are more likely to be chosen here, since I will be adding quite a lot of characters. "Okay... I guess I can let this one slide"
"This is great, I'm glad you decided to tag along"